Pavlok, the wearable band that delivers electric shocks to its users, is reported to have raised investment, which could see the band move closer to a release date. The band that promises to change people's behaviours by training the "reptile part of the brain" was an Indiegogo success story, after raising $273,626 (over 500% of its goal) back in November last year. The investment has come from IncWell, a VC fund run by the former Chrysler CEO Tom LaSorda – and while the figure hasn't been disclosed, it's said to the "maximum amount" the fund is authorised to invest. 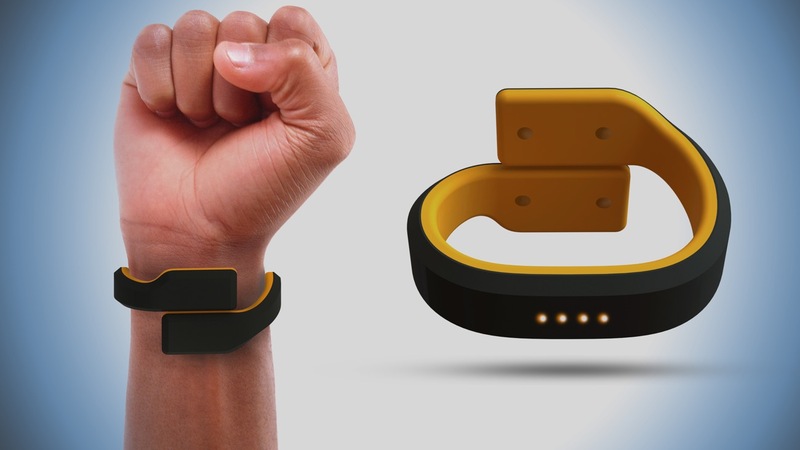 However, while digging into the progress of Pavlok, it seems backers are still waiting for their perks. While some prototypes were sent out in January, the Indiegogo page is still receiving comments from users. Final shipping ETA isn't set until May, but worryingly the last updates from Pavlok reveal that the company has only recently received its first properly molded bands from manufacturing. We've contacted Pavlok, and will update with a response if we hear back. The band works by training your subconscious to avoid bad behaviours, such as smoking or eating sugary food, by shocking your body at the time of the action. The company states that after just four days, the human brain's behaviour will start to change. Some actions can be automated, such as going on Facebook from your phone. However, for actions like smoking, it's up to the user to administer their own punishing shocks. The idea is backed up by decades of studies, including the famous Pavlov's dog study in 1902, which used a bell to train a dog to salivate at the anticipation of food. In some ways it's the ultimate in 'nag tech' which attempts to change negative behaviour. We recently reported about the negatives aspects of 'nag tech' from Sophie Kleber, who said that wearables must get positive to change behaviours. Or they could just shock us into submission.